Exotic pets are common in the Amazon, but unlike urban areas, there's no shopping mall or high street for someone to find a pet store and buy a puppy or kitten to take home. 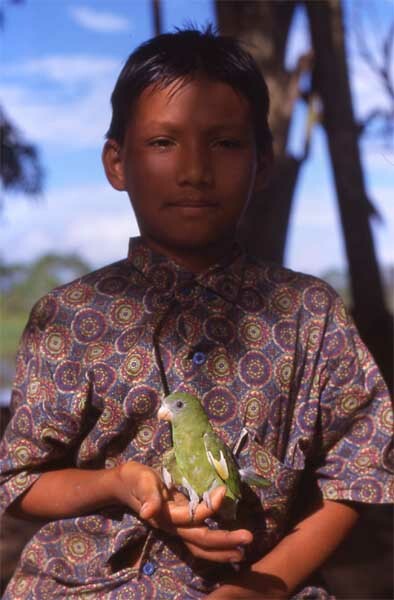 But children in the Amazon, like children everywhere, love to keep pet animals. In most cases they get them when the father goes into the forest to hunt or chop down a tree and inadvertently comes across a wild animal such as a snake or bird. They will take the animal home to their kids as a pet which is then raised as best the family knows how. But without a good vet nearby most animals brought in from the wild don't live very long. 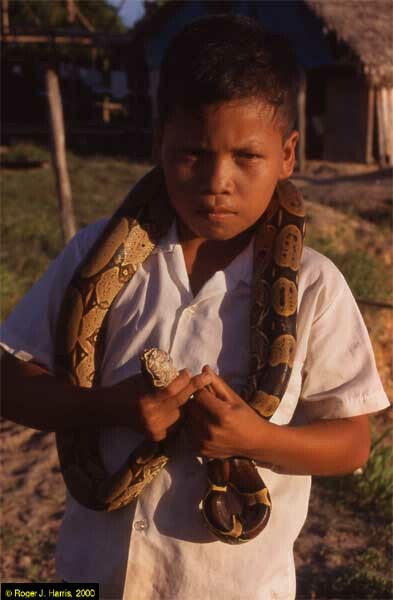 Snakes are commonly found in the forest when trees are felled and non-poisonous species such as this boa are brought back and given to the children as a pet. The children like to show their prize possession to tourists. 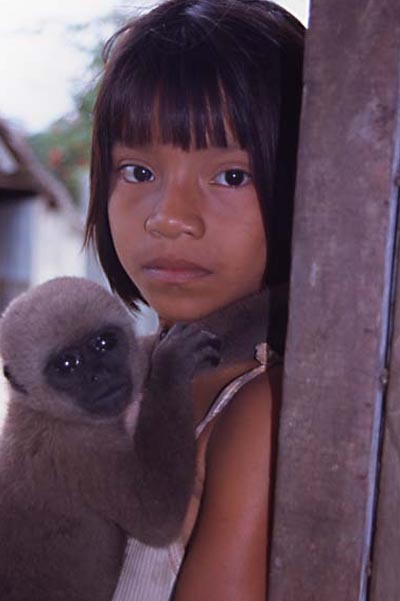 Standing in a doorway in her village this girl is holding a pet monkey. It is a young woolly monkey (Lagothrix lagothrica).